Welcome and thank you for considering our dental office and facilities. From regular teeth cleaning and proper oral hygiene assistance to complex, cosmetic restorations, our dentist and staff provide patients with affordable options and the latest in advanced dental technologies to enhance their smile. Local area residents of Tampa and adjoining towns are promised the finest dentistry by competent professionals in a safe, clean environment. New patients coming to our practice schedule an appointment, fill out a medical history form, then get an exam. The dentist may ask for an x-ray to determine if tooth decay is present. Once a patient's dental goals and condition of their teeth are known, our top priority is to help them achieve a healthy, aesthetic smile using the least invasive procedures available. Our practice offers dental care for the whole family. From children to the elderly, the dentist can suggest a plan for regular cleanings and visits to ensure a long life of healthy teeth. Whether you need just a single chipped tooth repaired, a complete cosmetic makeover, or advice to prevent cavities, our Tampa dental clinic will give your family premium solutions. Together with an experienced hygienist, both the dentist and his assistants work with the patient to keep their teeth clean and reduce harmful plaque that could lead to tooth loss. Dependent upon your personal needs, our doctor provides veneers, implants, periodontal treatment, partial and full dentures, Invisalign, sedation dentistry and emergency dental care. Call or visit our Tampa, FL location. We are always eager to answer your questions about dental treatments and costs. Our front desk can even assist you with driving directions if required. Join our many satisfied patients and make an appointment today. New patients may also be entitled to a special discount. Please contact our office for information. In addition to providing cosmetic dental care to the city of Tampa, Florida, our practice also services families living in the surrounding communities of Carrollwood, Land O'Lakes, Odessa, Wesley Chapel and Lutz. Our website itself is a composite of dental hygiene tips and best dentistry resources which prove useful for explaining the variety of advanced treatments our dentist provides, the tools and technology used during procedures, plus how to establish and maintain good oral health & a beautiful smile. We like to think we have one of the best dentists in Tampa. Whether you want Invisalign, porcelain veneers, crowns, new braces, dentures, bleaching, tooth colored fillings, implants, or a root canal -- we'll give you the attention you deserve. 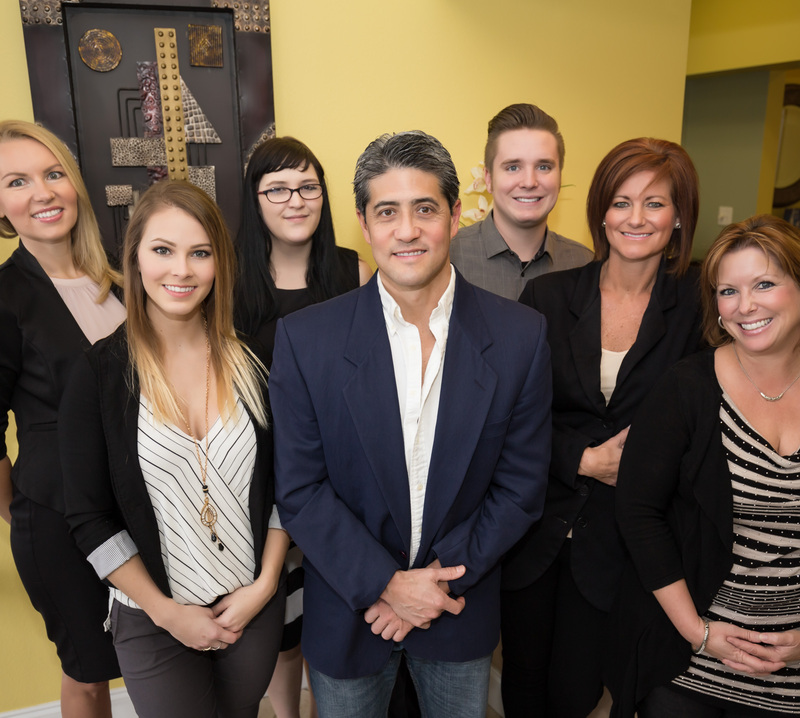 Tampa, FL dental office with hygenists, assistants and resident dentist dedicated to family, general and cosmetic dentistry care.